The NordicTrack RW900 is all new model, joining the recently introduced RW500 and the base RW200 rowing machines. With its impressive 22" touch screen display and iFit Coach technology, it's one of the most technologically advanced rowers on the market today. 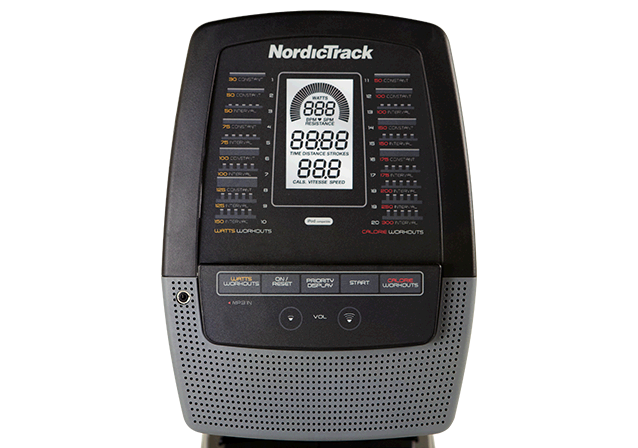 Yet in spite of all of its advanced touches, it remains quite affordable...something NordicTrack is known for. The NordicTrack RW900 features an oversized steel rail, oversized pivoting pedals and a SpaceSaver easy folding frame. The NordicTrack RW900 is the second new release from the company in under a year...its little brother the RW500 preceded it by just a couple of months. Both are upgraded versions of the base rowing machine in the series, the popular RW200. The RW900 is the most advanced in the series, with 26 resistance levels, 30 built in workout programs and a 22" Smart HD touch screen. 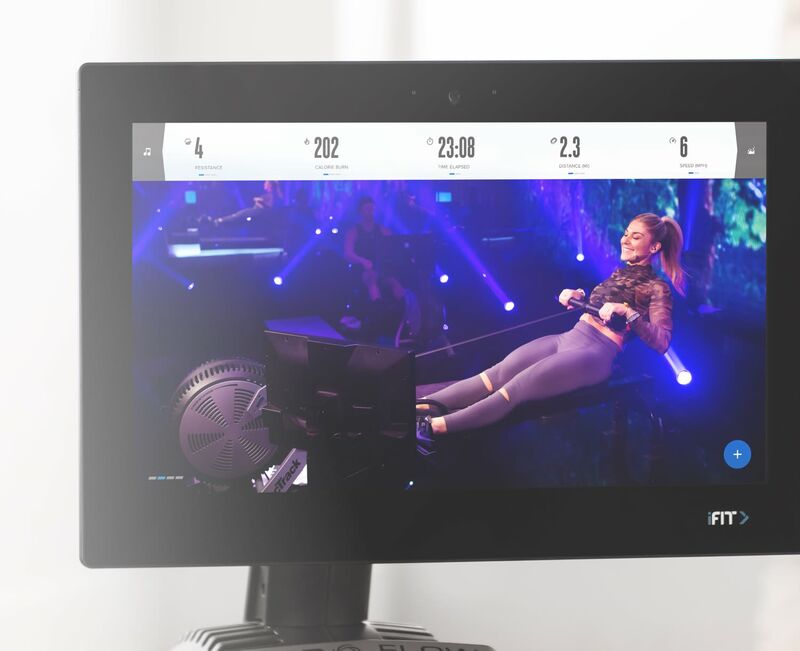 Yes, we said 22", and it's one of the largest touch displays you will find anywhere, also found on some of NordicTrack's treadmills and ellipticals. It's twice the size of the tablet that comes with the RW500 model. On it you can tap into the company's iFit Coach programming (sometimes free for one year) and take advantage of on-demand classes in studios and locations across the world. The most exciting part is that the RW900's resistance levels are changed automatically for you as you follow along with the class, so you can just work out without worrying about making any adjustments to make it harder or easier. You can also do cross training, stretching and yoga off the rower, so you can get more of a full body workout that the typical rowing machine provides. On top of all of the on demand workouts, iFit Coach also allows you to choose anywhere in the world to train via Google maps, keep tabs on all of your workouts and track your progress, plus get nutrition, sleep and exercise coaching as well. So it's really an all inclusive exercise and health regimen that motivates you to lose weight, tone up or whatever your fitness goals may be. The NordicTrack RW900 comes with an oversized rail and pedals, ergonomic seat, adjustable foot strap and soft touch handles. There are front mounted wheels for easy transport as well. 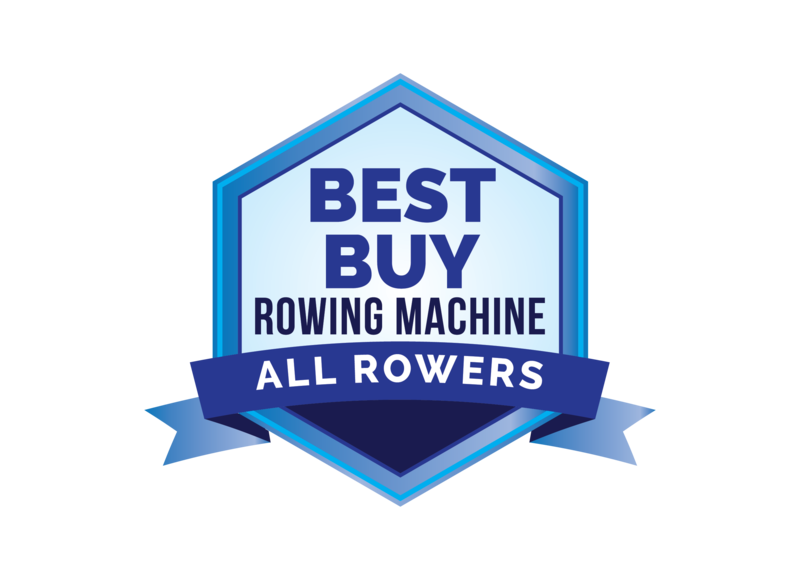 All in all, there isn't a rower on the market with more features and capabilities. How Does the RW900 Compare to Rest of the NordicTrack Rowers? There are currently three NordicTrack rowing machines on the market: the RW200, RW500 and RW900. All are very similar as far as size and design. All are very versatile, fold for easy storage and come with a lot of functionality for the price. But there are some differences between the three worth noting. The base model comes with a basic backlit display, 24 resistance levels, 20 built in workouts, music port, a 250 lb. max user weight capacity and a 5 year frame warranty. The mid-range model ups the ante with a 10" tablet, 26 resistance levels, 30 built in workouts, iFit Coach technology, and a 10 year frame warranty. The top of the line rower gives you everything the RW500 has, plus a 22" Smart HD touch screen and an even stronger 15 year frame warranty. So the overall look and feel of the three NordicTrack rowers is going to be the same. The seat, the monorail, the pedals, the foot straps, the SMR Silent Magnetic Resistance, etc. The difference lies in the console, with either a basic backlit LCD, a 10" tablet or a 22" HD Smart touch screen. The prices range from about $599 on sale for the base RW200 to about $1599 on sale for the top of the line NordicTrack RW900. The two higher end models currently include iFit Coach for free as part of the price, which is a very good deal. 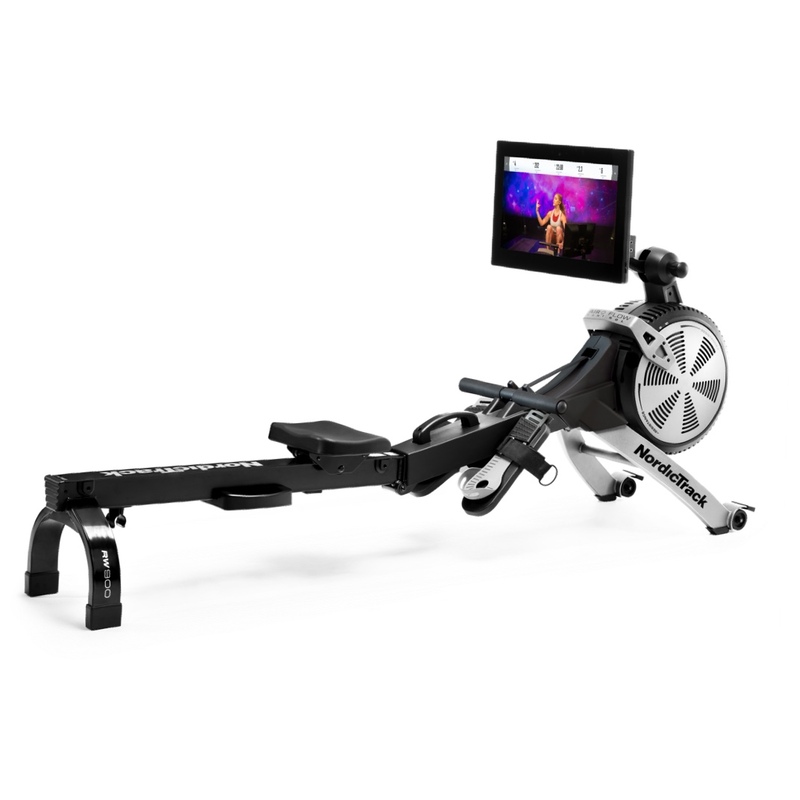 The new RW900 is a nice addition to the NordicTrack rower lineup, with the largest touch screen you'll find as well as plenty of built in workouts and resistance levels. With access to on demand classes on and off the rowing machine, in studio and at locations throughout the world, it's a great choice for those who not only want to exercise, but also lead a healthy lifestyle. iFit Coach gives you all kinds of nutrition, exercise and sleep recommendations to get you into the best shape of your life. If you want to save a little money, look at the mid level RW500, which is only really missing the touch screen. But all of the NordicTrack rowers are well-priced, fun to use and packed with features and capabilities you don't typically find.